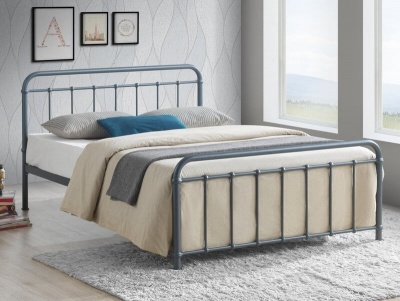 Classic bed frame with a fashionable two tone finish. The chunky tops on the head and foot-boards work in harmony with the warm stone white finish of the bed frame. 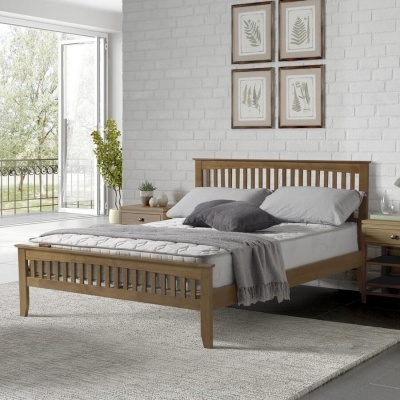 Panelled design to the headboard and tapered legs on the foot end add to the appeal of the Portland double bed frame. Choose to add the Elite Pocket 1000 to your order for extra value. The Elite mattress features a 1000 pocket spring unit with a hand tufted damask cover. 1000 gsm spring insulator pad, 800 gsm polyester filing. Quilted border with air vents.